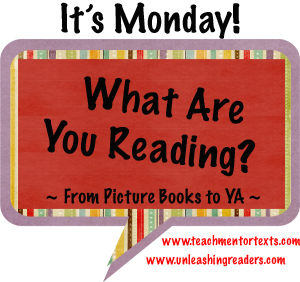 Maria's Mélange: It's Monday March 2nd What are YOU reading? 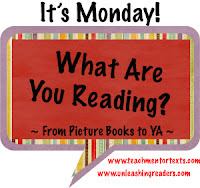 It's Monday March 2nd What are YOU reading? I wasn't going to be able to get a post in today, but we got a surprise day off thanks to the 1/4" of ice coating the ground around us. Welcome to my little corner of book heaven. Here's what I read the last two weeks. Don't forget to visit the lovely hosts of this meme - Teach Mentor Texts and Unleashing Readers. There are links to a LOT of posts there! Quick post today, since I'm also joining the March Slice of Life Challenge! For the first third of this book, I wasn't sure I was going to get into it. I mean, I totally get how teens dropped into a deadly world could fall madly in love with someone there. I'm not a COMPLETE "insta-love" denier. 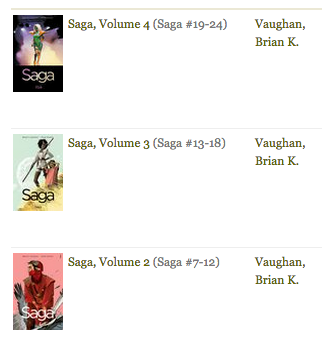 Still, books like that usually don't make it to the top of my recommendation pile. As the story progressed, though, I got more and more fascinated with the world of NIL. You are dropped in this world, and have 365 days to make it off or die. The teens created their own small society to help and support one another (that's pretty cool, no?). I was hooked by some little teasers about what this world could really be. You don't know who will make it through (well, some are obvious... but it's okay). Now I'm glad I have the second book on hand to hopefully answer some of my lingering questions. I run a hero's journey unit every year with my fifth graders. Usually, we read The Hobbit. This year, I decided to mix it up a bit and try to build more diverse choices into our unit. Thankfully, I have many friends in my PLN who gave me ideas for books to build in. This one is based around Hindu folklore, and the book trailer hooked my students completely. I have three reading this one now, and they all want to read the rest of the series. 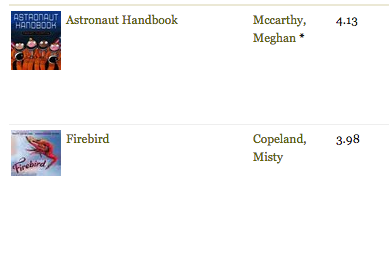 This is a cute insight into how astronauts train, but with the focus on diversity in literature I've had with my fifth graders I couldn't help but be slightly annoyed that there's only one woman in the group. Couldn't we mix it up more? Lovely illustrations and a beautifully inspiring look at ballet.